Kyoto International Manga Anime Fair, the largest manga / anime convention in West Japan, is returning for another round of festivities on September 21 – 22, 2019, and now the convention has released a short preview video highlighting what’s in store for this year. 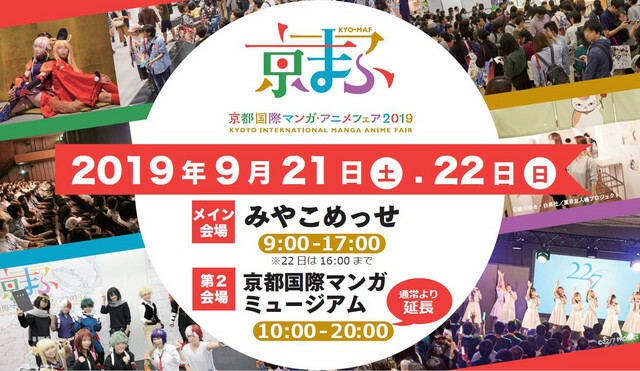 Kyoto International Manga Anime Fair will be held at two venues: the Miyako Messe convention center in Okazaki, Sakyo Ward, Kyoto and the Kyoto International Manga Museum in Nakagyo Ward, Kyoto. Events include live anisong performances, stage shows, exhibition booths, cosplay, industry panels, traditional crafts lessons, a manga / anime job fair, family programming, and more.